If you’re reading this page, you’re likely not a home user, rather a network administrator or equivalent. We understand you may have suffered data loss and that it could affect an entire company or possibly thousands of individual users. 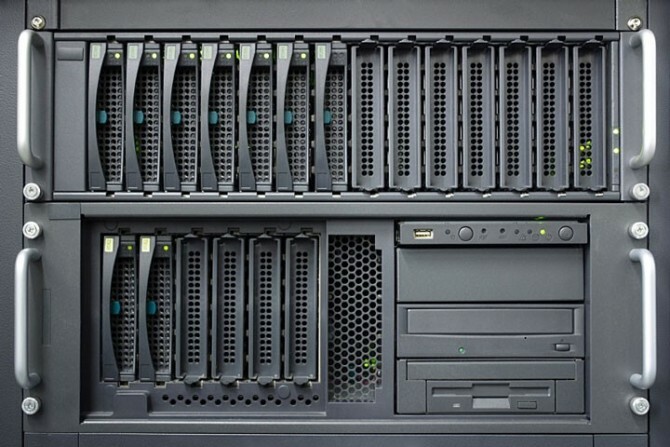 We urge to call us immediately and let our skilled team discuss RAID data recovery solutions. Collectively our team has 30+ years of experience performing RAID data recovery on every major platform (Windows, Mac, Linux, Solaris, BSD or other Unix variants). If this is an emergency we offer on-site repairs and can (in most instances) offer a 24 hour turnaround. We realize the importance and mission critical nature of your data and we’re here to serve your needs in every manner. We’re happy to discuss any special needs with your technical department (we speak the same language) and should the need arise; we’re able to transfer critical data back to your server ensuring a quick and efficient recovery. If you’re a server or network admin, we realize the time, energy and money you’ve invested acquiring that knowledge. We’ve walked nearly the same path, but our techs have specialized in RAID data recovery. They’re on-call, ready, willing and able to put your mind at ease, keep you informed during every step of the recovery process. We are NOT the new kids on the block, rather the tried-and-true veterans of RAID data recovery. To date we’ve worked with most major manufacturers among them..
That said, no matter the technical details, we’re all individuals with a job to do and during this difficult time, you deserve courteous and informative customer service. We’ve built our reputation on that tenet and it’s a cornerstone of our business model. We’ve become a leader in RAID data recovery, let us prove it.. Call our Toll Free anytime to discuss any RAID data recovery question you may have, or would like to avoid in the future. Our customer are not simply a means to balance our bottom line, they are our very reason for being here. Unless you have the experience, tools and environment (we operate an ISO complaint clean room) please don’t attempt in-house repairs, call us first for a free consultation. You have nothing to lose since we employ a “No Data – No Cost” policy, however we feel confident we can recover your RAID data, it’s what we do and we do it well. RAID Data Recovery Specialists In.. Call us now for free phone consult or fill out our enquire form and we’ll have a RAID specialist call at your convenience.